We all have families that we can't live without yet they drive us crazy at the same time and wanting to leave the nest and jump into the world, but yet don't. 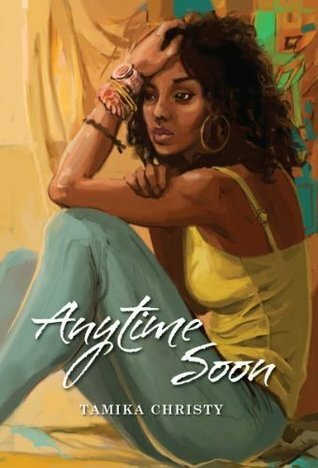 Author Tamika Christy has done a good job creating characters and scenarios that many of us can relate to. The book is a good entertaining read that made me chuckle, shake my head, and overall thoroughly enjoy the process. Sign into Goodreads to see if any of your friends have read Any Time Soon. The author takes us into the mind and life of a young woman struggling between loving her family and being driven crazy by its dysfunction. Her chaotic life is a combination of living the results of choices she has made and her inability to stop procrastinating and make choices that her life demands. Anaya is an endearing character that I wanted to both hug and shake some sense into. I enjoyed the story and getting to know these likeable, lovable characters.